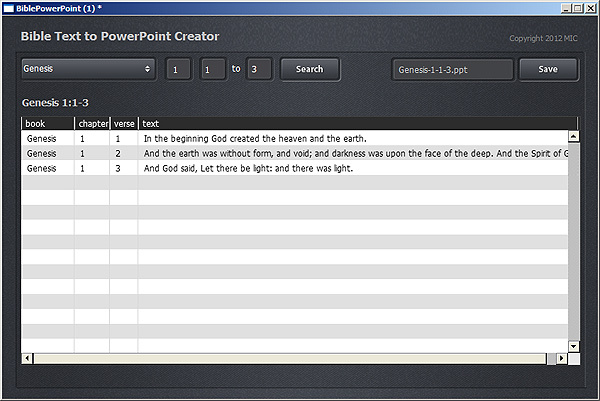 This church powerpoint software application allows you to create PowerPoint presentations from Bible texts. Now supports eight versions of the Bible including the American Standard Version, Bible In Basic English, Darby English Bible, King James, King James (Updated), Young’s Literal Translation,Webster’s Bible (English) and the World English Bible. Or Contact us today to learn more about this product.